The Golden Gate Bridge is so basic. San Francisco’s rich history and culture offers so much more than tourist attractions—and you get four years to explore it. 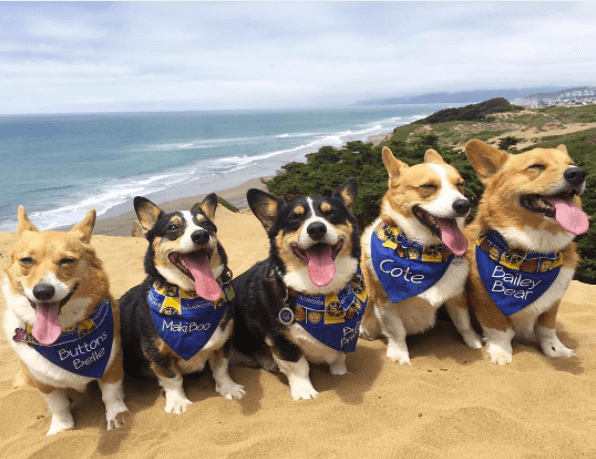 From free bluegrass concerts to a beach full of corgis, San Francisco will never leave you stuck with the next episode on your Netflix binge. If you need a fun event ASAP, download the TodayTix app and get tickets to the hottest Bay Area shows now. You don’t’ need to go to Coachella to break out your flower crown. Every August, Golden Gate Park brings together over 40,000 music lovers for a rave like no other. “I went two years ago and I saw Glass Animals,” said University of San Francisco freshman Emily Nhan. 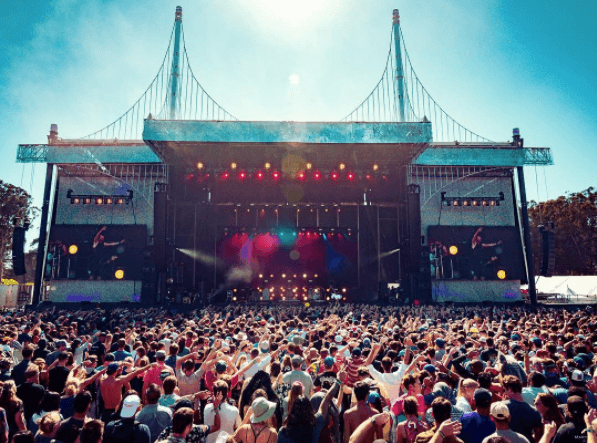 Students from all over California travel to the Bay Area to see artists like Lana Del Ray, Zedd, J. Cole, Lionel Richie and Chance the Rapper. “It’s actually pretty amazing to discover different sounds from the newer, younger groups that people haven’t heard of,” said Nhan. 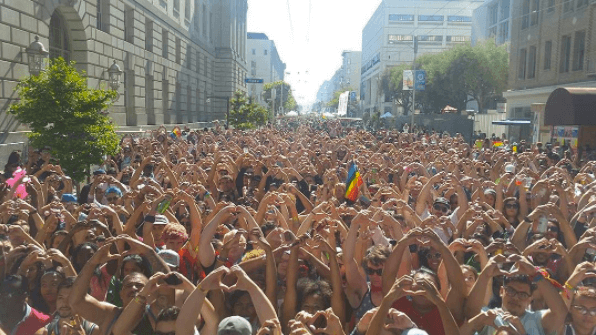 San Francisco’s LGBTQ+ pride extends way beyond the Castro District. Spend Sunday watching everyone from the Dykes on Bikes to the Righteously Outrageous Twirling Corps parade down Market Street. You can even be in the parade with your school— local universities join the lineup, including San Francisco State University, University of San Francisco and City College of San Francisco. Or you can visit one of the 20 stages at the LGBT Pride Festival. Travel back to a time before your grandparents could legally drink at any age. But before you travel back, get your tickets with TodayTix. 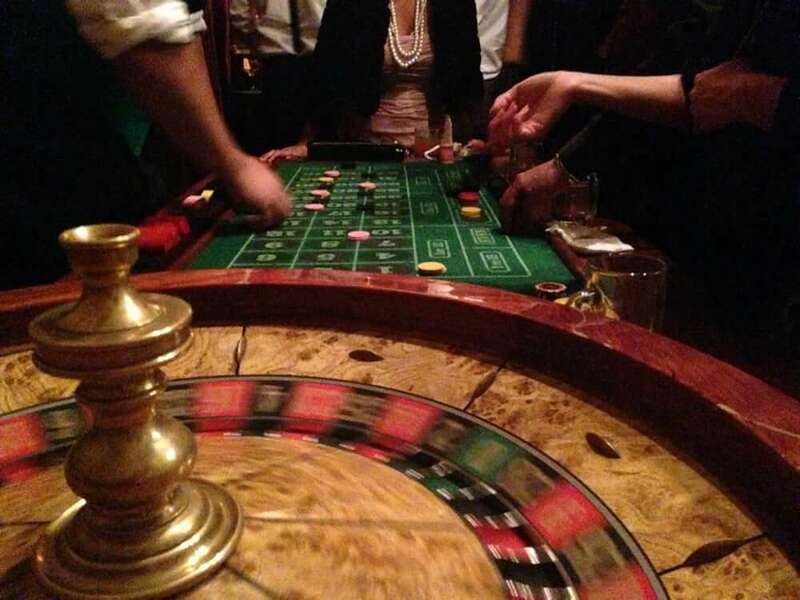 At The Speakeasy, guests immerse themselves in a story that unfolds in the bar, the cabaret and the casino. Guests don’t even know the location of the show until 5 p.m. the night before, when The Speakeasy sends “an electronic telegram” disclosing the secretive location. Don’t wander off after one-too-many Black Manhattans, as you might find yourself in one of the mysterious building’s secret passageways or secret entrances. Get to know San Francisco by foot. After a devastating earthquake in 1906, the city needed to rebuild more than its infrastructure—it needed to rebuild its spirit, too. Every year, thousands of participants race while those less athletically inclined walk 7 miles through the city in costume. “I’ve seen people be a ‘one-night stand,’ very comfortable with being naked,” said San Francisco State University junior Gabriela Marquez. Walkers can party through the course, watching live performances and listening to live bands and DJs. Art enthusiasts, consider your weekend plans set. Oakland First Fridays will feed the left side of your brain with everything from imaginable from cartoonish abstract art and printmaking projects to photography and politically charged paintings. You can see all this while watching live performances from DJ Wiley-E and Soul Beatz and munching on Smoked Brisket from Roderick’s BBQ food truck. 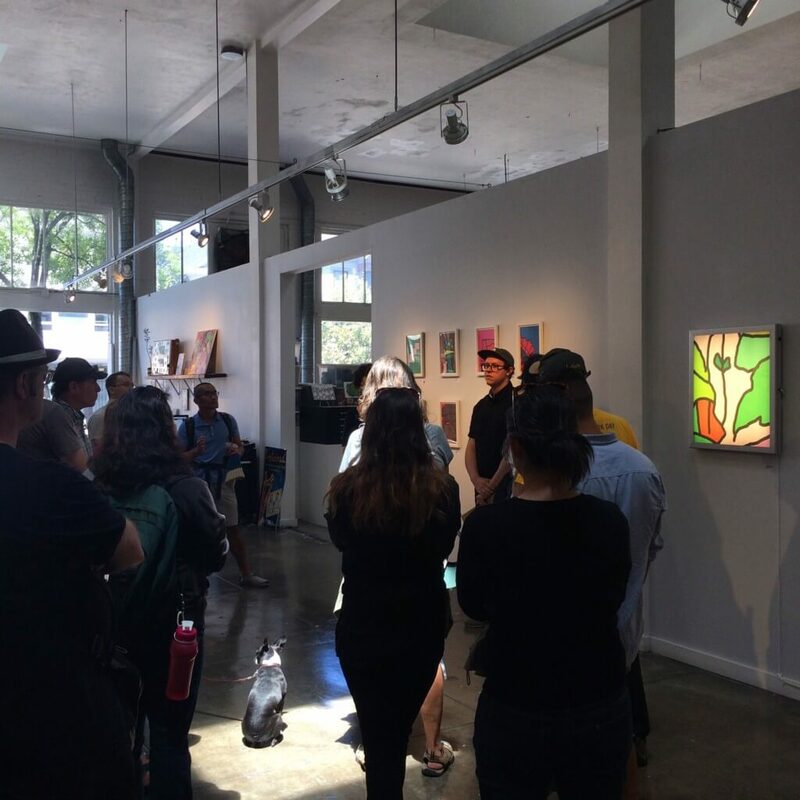 For a more leisurely experience, Oakland also hosts Saturday Stroll, a more intimate event that lets gallery directors and art enthusiasts discuss the latest exhibit. Oh, and the bonus? You get to immerse yourself in this art for free. You can’t really appreciate your city until you can laugh at its quirks. With 15,000 shows, Beach Blanket Babylon holds the record for longest-running musical revue. A night at Club Fugazi will put you in a room with Kim Kardashian, Darth Vader, Vladimir Putin and Snow White. Plus, you can see all of San Francisco sitting on a hat. Check out TodayTix for the best prices on tickets. So maybe you’re a badass on a budget. No worries—Hardly Strictly Bluegrass is a FREE live event held in Golden State Park. “It was convenient because it was near the Sunset District where a lot of students live,” SFSU sophomore Joey High said. Not sure what bluegrass music sounds like? Imagine country music, but more acoustic instruments. High said, “It was a lot more calm than the average music festival.” Relax all weekend long swaying to the music of artists like Cyndi Lauper, Willie Watson and the Dropkick Murphys. This venue used to be a dressing room for a rock club, and now it hosts basically every comedian you can name. Open since 1978, it helped jumpstart the careers of Robin Williams, Ellen DeGeneres, Aziz Ansari and Amy Schumer, plus a bunch more. Some of these famous headliners even like to make guest appearances performing surprise shows. Imagine getting surprised by Zach Galifianakis after a long week of midterms—that’ll definitely make you forget about filling that little blue book with your best guess. 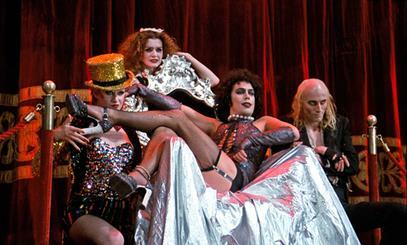 This cult classic plays once a month at the historic Clay Theater. “It’s such a quintessential San Francisco experience,” said USF sophomore Elise DeFazio. Without spoiling too much, expect embarrassment when you admit your virgin-status at the show. “If you’ve never been before, the cast makes a really big deal out of introducing you to the show and the little rituals everyone does,” said DeFazio. And once you go back, you can watch the other virgins squirm with embarrassment and sing along to the show.